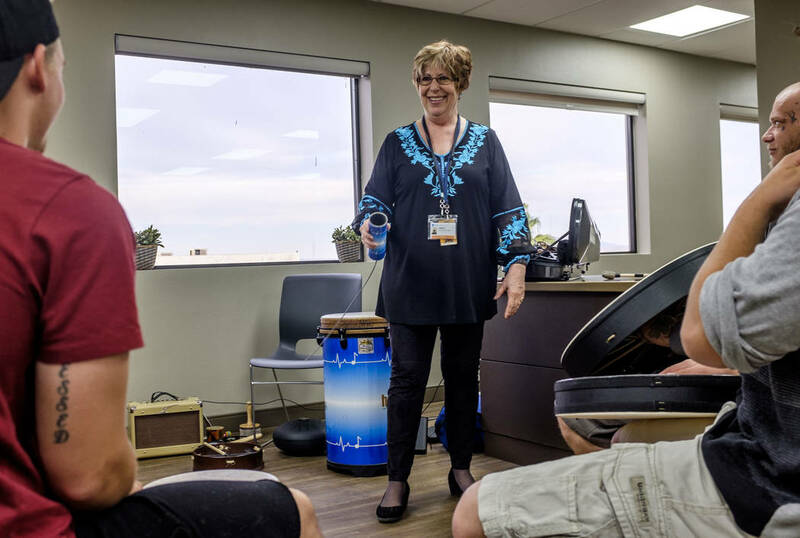 The country’s first licensed music therapist, Las Vegas’ Judith Pinkerton is blazing her own path in a rapidly growing discipline and gaining national recognition along the way. 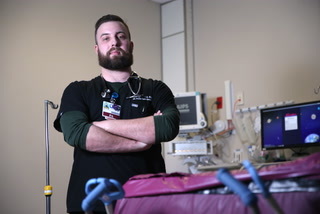 The light bulb moment came in an Alaska hospital 32 years ago. Judith Pinkerton’s then-husband was recovering from emergency back surgery. 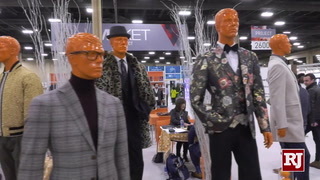 He was also battling high blood pressure. 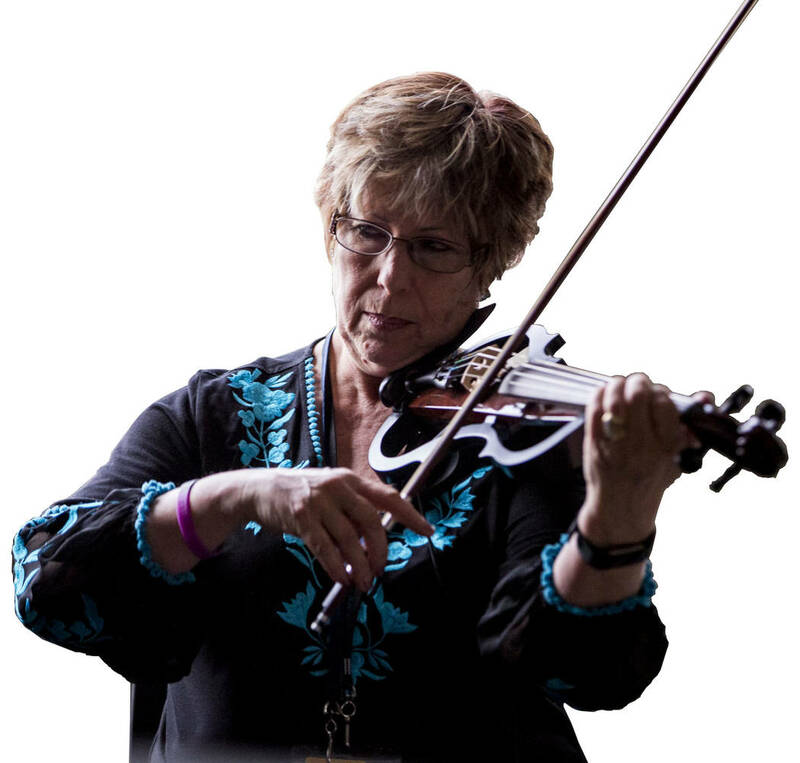 Pinkerton, a classically trained, professional violinist who also ran her own talent agency, found that her playing helped him sleep at night, reducing the need for medication. While he was hospitalized, Pinkerton recorded her playing on cassette and gave it to him on a Walkman. 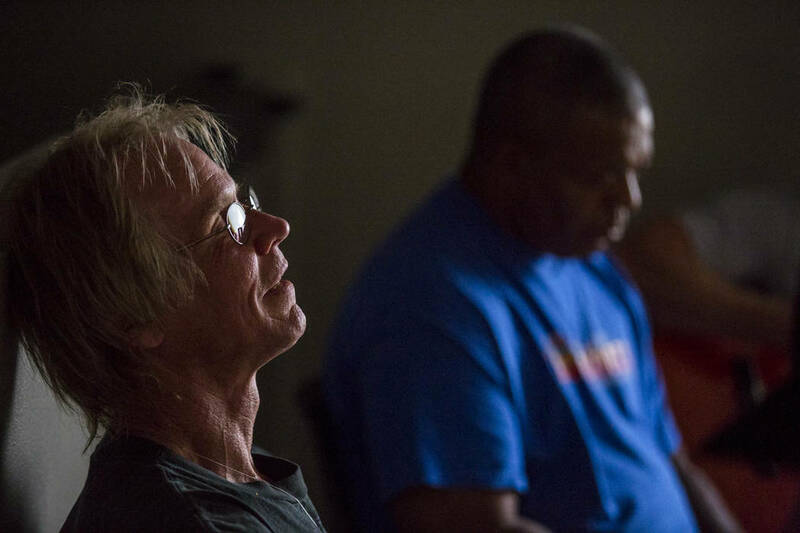 One day at noon, he partook in a listening session a half-hour before a visit from a nurse. With that, a pioneering career was born. 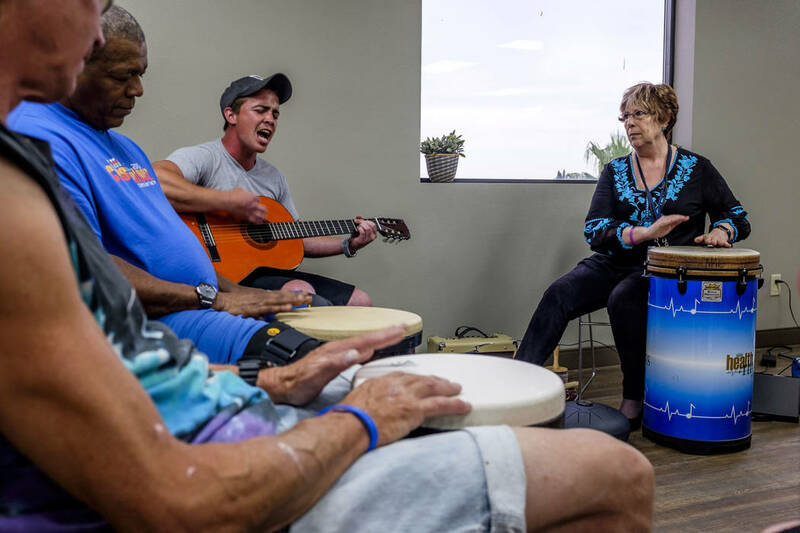 Though it took 25 years, Pinkerton in 2011 became the nation’s first officially licensed music therapist, as Nevada — along with North Dakota — positioned itself at the forefront of recognizing the discipline. She was instrumental in shaping and advocating for the legislation that made it all possible. 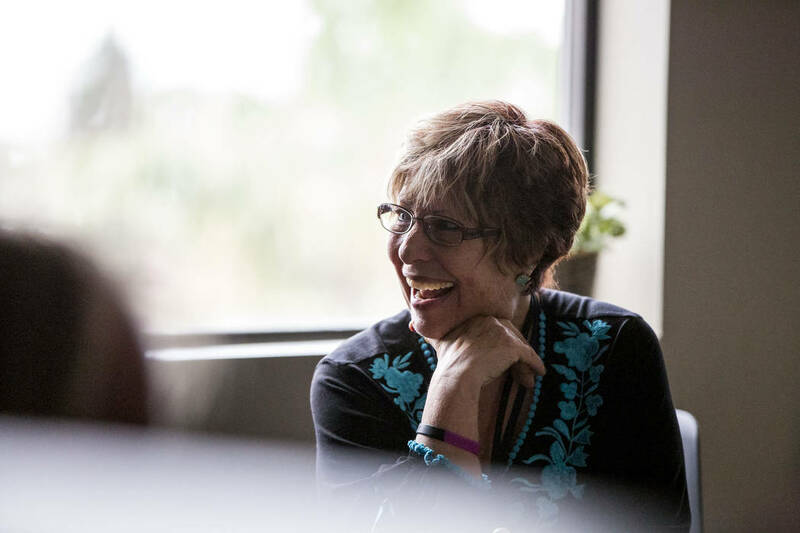 Pinkerton, who moved to Las Vegas in 1989, has written books, given TED talks, performed with artists from Metallica to Andrea Boccelli, and established the Vegas-based Music 4 Life Center, where she works part of the time in addition to Solutions Recovery and Desert Hope Treatment Centers. 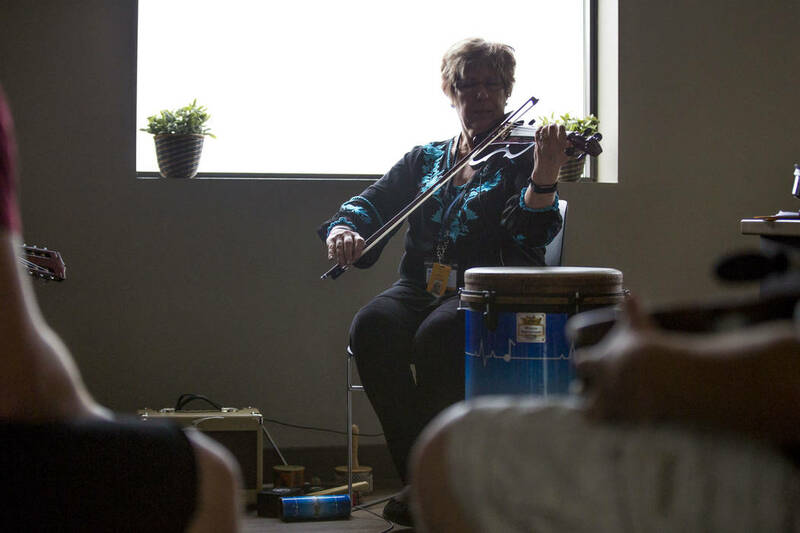 She sees 150 patients a week, individually and in group sessions, her subjects include young kids with behavioral issues, recovering addicts and those curious as to how they can use music to better their emotional and mental health. 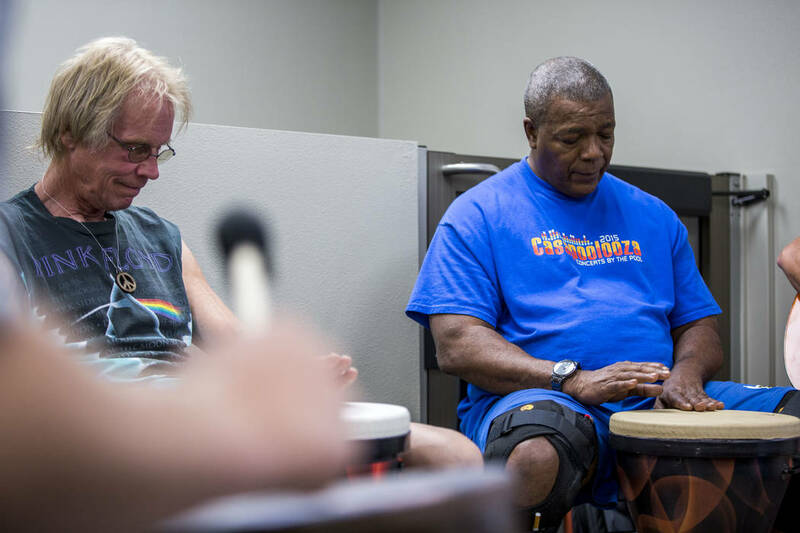 Perhaps most significantly, though, Pinkerton has labored to further legitimize and spread music therapy, a growing field, which now boasts more than 8,000 practitioners nationwide. 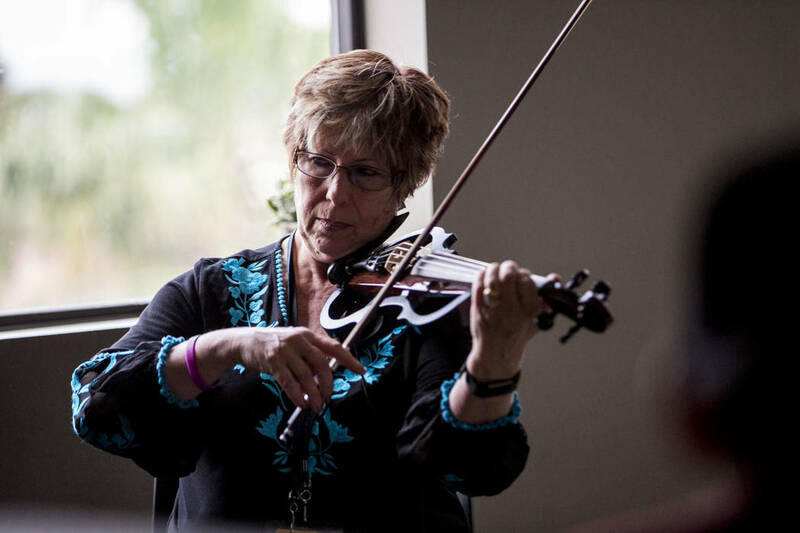 In Pinkerton’s TED Talk, she says 1 in 7 patients prescribed anti-depressant medications see significant improvements in their mental well-being; with music therapy, 1 in 4 experience significant improvements. 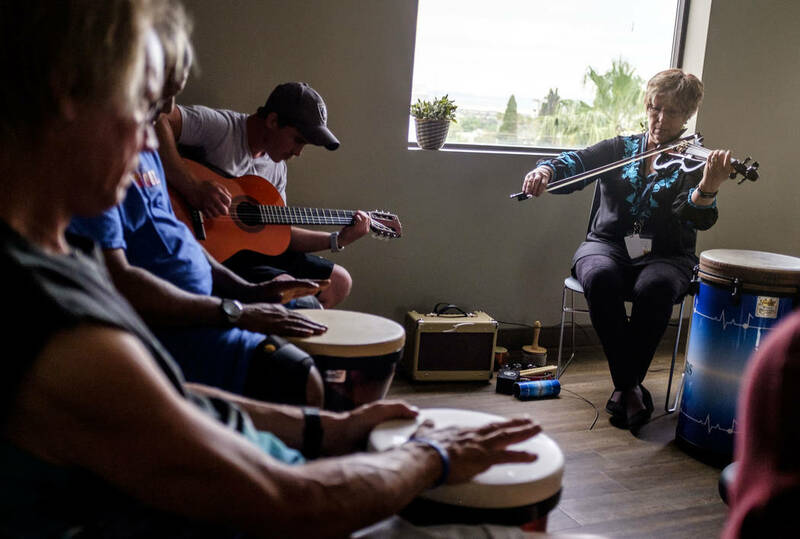 This is among the reasons that music therapy is gaining support on an institutional level, including among legislators such as state Sen. Pat Spearman, a Democrat who has toured the Music 4 Life Center and has become a supporter of the discipline, seeing it as an alternative to what she thinks is an overreliance on prescription medications. 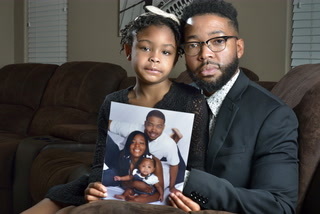 Her family and friends were preparing themselves for her funeral. Crossing started using drugs and drinking when she was 14 and battled addiction for years, going through 10 treatment centers and sober houses, by her estimation. 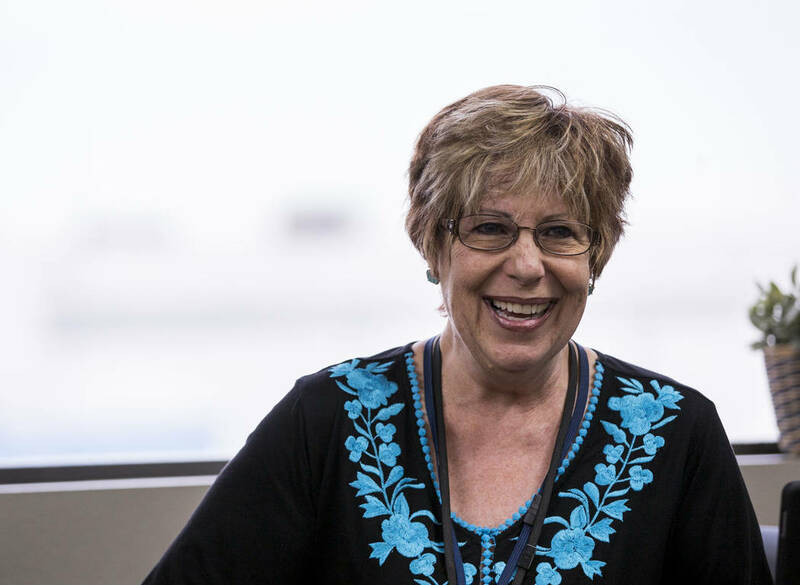 In February 2014, the Iowa native came to Las Vegas to enter the Desert Hope Treatment Center. But she took a detour first, getting high on cocaine before calling the center to come pick her up in a fit of paranoia. 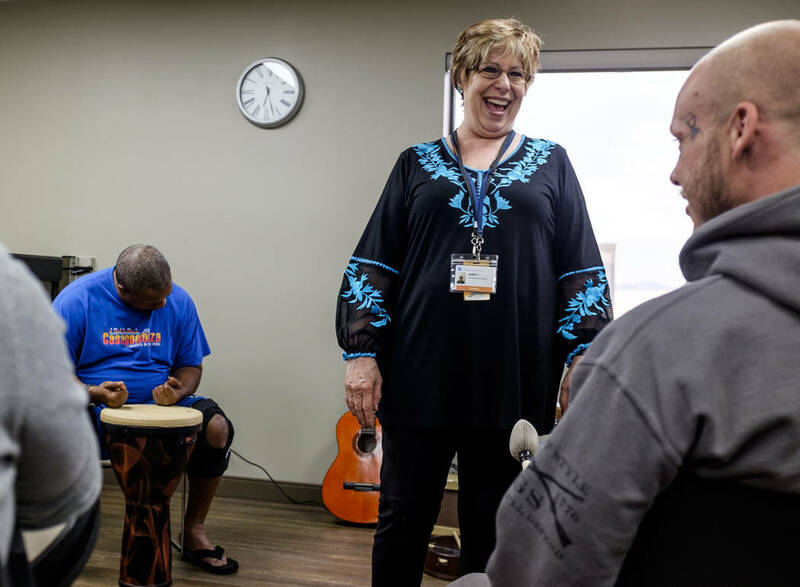 She was still feeling the enervating effects of the drugs leaving her system when a fellow patient persuaded her to attend one of Pinkerton’s music therapy sessions. “I go in there, and I’m just pissed as hell because I’m coming down off coke, and I just don’t even want to be in this world right now,” Crossing recalls from her home in Iowa. “I didn’t realize what she was doing at the time — she explained it to me later — but she purposely played music to make me feel unsettled. And then she played music to soothe, and she actually put me to sleep in the room. Later, in a one-on-one session, Pinkerton worked with Crossing to create a CD of songs to help her process her emotions. This all may sound simple enough — and not terribly scientific — selecting a handful of tunes to help someone deal with their feelings. But it’s deeper than that, part of a methodology that Pinkerton developed under the acronym USE, each letter corresponding with a category of music: Unsettling, Soothing and Energizing, which Pinkerton details in her book “The Sound of Healing,” first published in 1996. For Pinkerton, the goal is to base one’s music listening habits around playlists that correspond with each category. 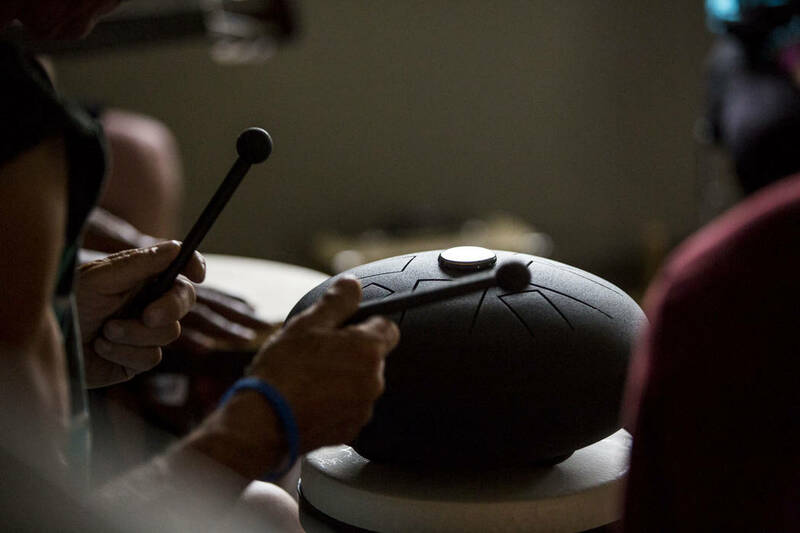 The idea is to have a balanced musical diet, as well as an awareness of how music affects a person emotionally. “We have instinctive habits where we push play on music that matches where we’re at, ‘It’s what I feel like listening to right now.’ It’s what we all do,” she says. “When you think about being in a stress state and you’re pressing ‘play’ on music that matches where you’re at, you could actually be fueling anxiety or anger or depression. Her point, then, isn’t that unsettling music should be avoided, it’s that the emotions those sounds stir up need to be processed and then balanced by the other categories of songs. One of Pinkerton’s patients, Shawn Wallen, elaborates on how the process affected him. For Pinkerton, it’s all about employing the latter to guide the former.